Hackathons bring together groups of some of the brightest minds in technology to solve some problem within a technology space in a short period of time, usually no more than 36 hours. In 2019, the blockchain world will see a number of high profile hackathons. These hackathons are free to participants, and some have prizes totaling tens of thousands of dollars. There’s always the chance your team will create the next greatest blockchain technology. Here, then, we have collected information about the best blockchain hackathons to attend in 2019. 2/27/19 2/28/19 Hack & SEED (Davos, Switzerland Student / Pre-funding Start-up - CHF250, Academic / Individuals - CHF500 This hackathon allows participants to learn the basics of the blockchain technology, as well as the peer-to-peer technology beyond blockchain, get introduced to the global landscape of science, immerse theselves in the scientific and industrial worlds and where they intersect, meet industry experts, lawyers, scientists, librarians, technologists from all around the world, and co-create the future of blockchain and other peer-to-peer technologies with design thinking methodology. Participants will develop ideas which have direct impact on the future of the knowledge of mankind, and then bring them to life after SEED. The best idea will be turned into open source code. 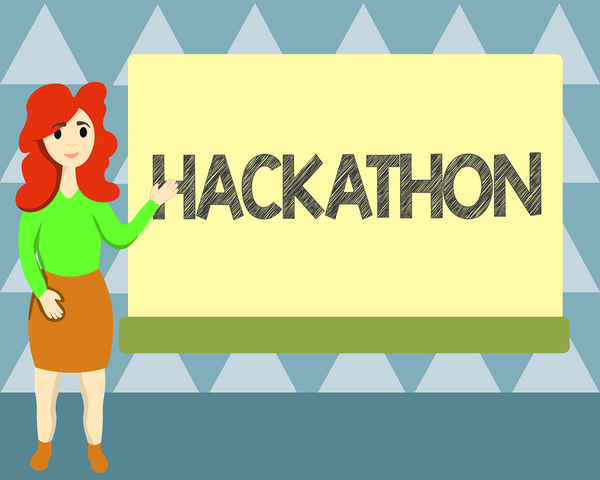 The hackathon promises to give participants the right background and tools to transfer what they've learned into their own projects. 3/8/19 3/10/19 START Hack (St. Gallen, Switzerland FREE 400 For two days, the fourth edition of START Hack will turn St. Gallen into one of EuropeÛªs technology hotspots. Touted as the most entrepreneurial hackathon in Europe, this event aims to encourage participants to challenge their thinking with an entrepreneurial mindset.The event includes 35 hours of coding and solving fascinating challenges along with 400 of the most creative and out-of-the-box-thinking minds, with a focus on emerging technologies including AI, IoT, AR/VR and blockchain. 3/12/19 3/13/19 SXSW Hackathon (Austin, Texas, USA) FREE 100+ The sixth annual SXSW Hackathon returns in a buzzy 24-hour marathon stretching from Tuesday, March 12 through Wednesday, March 13. Developers, coders, and tech creatives will collaborate in teams to build tech that addresses the range of media covered at SXSW from Music, VR, AR, AI, and Blockchain. Participating hackers will have access a wide range of resources to develop innovative prototypes including guidance from their official Artists and Entrepreneurs-in-residence, public APIs and tools, and their exclusive collection of partner APIs & SDKs. The three winning projects will be awarded cash prizes by a panel of top-level industry and creative judges, plus the opportunity to join the SXSW Hackathon Incubator, working with a group of industry mentors to fine tune their projects. 700 kilometers or more from the location Zurich: up to CHF 150 Limited. Application required. F10 FinTech Incubator & Accelerator is looking for curious action-takers who have a sincere interest in solving problems, are eager to be challenged, and bold enough to think out of the box. Held in Zurich, the event involves transferring business ideas into prototypes within a 48-hour timeframe. Participants will have an opportunity to turn their bright idea into the next big thing and create the future of finance and regulation. 3/23/19 3/24/19 HackBMU (Gurugram, India) FREE 150+ HackBMU is a hackathon focused on promoting innovation, diversity, and networking among all future hackers. The event will be hosting upcoming engineers and developers from all over India to create mobile, web, and hardware hacks for an intense 24-hour session. 3/23/19 3/24/19 onLoad (Mysore, India) FREE 100+ This hackathon provides an excellent opportunity for developers to build professional contacts and make new friends. With over 100 developers and designers gathering from all over the country, participants can network to discuss ideas and opportunities. 3/25/19 3/26/19 Infineon Hackathon (Graz, Austria) FREE 50-100 Infineon is inviting participants to a 24+ hour hackathon organized together with Silicon Alps Cluster at Messe Congress Graz. 50-100 participants will create drone, sensors, and blockchain prototypes and be encouraged to start creating the future by hacking the latest Infineon technology. 4/11/19 4/15/19 Odyssey Hackathon 2019 (Groningen, Netherlands) FREE 1,500 Odyssey Hackathon 2019 is the third edition of the worldÛªs biggest blockchain & AI hackathon and unites a global ecosystem to scale blockchain adoption. 100 selected teams collaborate with corporate and governmental launching partners to solve complex multi-stakeholder challenges. These challenges require mass collaboration between a multitude of enabled entities and individuals to reach breakthrough progress. âÂ200,000 euro in cash rewards for the best-performing teams. 4/12/19 4/14/19 Smart Mobility Hackathon (Prague, Czech Republic) FREE. Travel costs to the Czech Republic reimbursed up to 150 euro. 50 This hackathon encourages participants to work on the next big game-changing idea in the automotive industry, partner with mobility innovation center where selected projects gain access to a unique pool of worldwide expertise, and redefine autonomous driving with the worldÛªs fastest supercomputer. Participants could win 5,000 EUR and a number of partner prizes. 5/10/19 5/12/19 I-COM Data Science Hackathon (Malaga, Spain) FREE With the Data Science Hackathons, I-COM pioneered the first public CMO-focused global competition, connecting the magic of data science with the world of marketing. Major corporations have the chance to create a challenge for the participants. In 2018, the challenge sponsors were Intel and Lufthansa. 5/31/19 6/2/19 CryptoChicks Hackathon and Conference (Toronto, Canada) FREE (Hackathon) 600+ This hackathon brings together the top blockchain & Artificial Intelligence (AI) experts, leaders, mentors, and advisors to educate and inspire builders and hackers. Participants can take on a new challenge, unlock new skills, and make lifelong connections in a fun, educational environment! 11/30/19 12/3/19 IATA Air Hackathon (Lapland, Finland) FREE 100 Organized by IATA, this hackathon asks participants to build solutions to enhance airline's retailing capabilities. It includes a one-week ideation phase to prepare a project around leisure & business travel, a 28-hour coding experience to work on projects and pitch ideas to a team of industry experts and mentors, and a six-week incubation phase to ensure the winning ideas have the potential to become strong and successful business cases, along with the possibility to pitch these ideas at industry forums. If you’re a developer, join our open-source token project today and sharpen your skills for your next big hackathon!